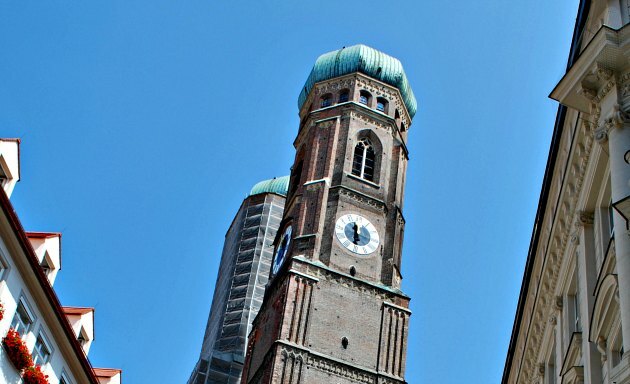 The two enormous green-topped towers of the Frauenkirche, dominate the city centre skyline. There’s a lovely public space near the doors of the cathedral with an ingenious water feature and from here, when you look up you get a real sense of how tall the towers actually are. Few brick buildings are this attractive! 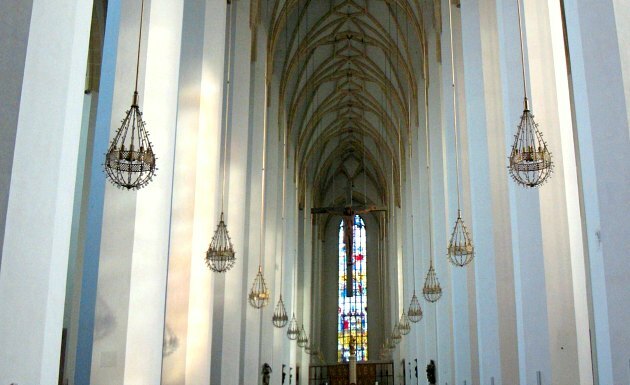 Frauenkirche (The Cathedral of Our Lady) was completed in 1488 but the distinctive towers weren’t added until 1525, although one was almost completely destroyed in the war. 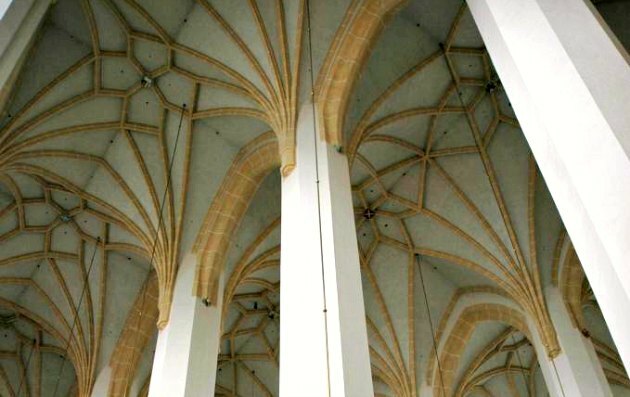 Inside, the high vaulted ceiling emphasises the size of the building – it can hold 20,000 people. Notable features inside the church include the ‘devil’s footprint’ which is cast in the floor. You can also climb the south tower for a view of Munich and the Alps. The church is open to the public from Saturday to Thursday between 7am and 7pm, Fridays between 7am and 6pm. Admission is free. The nearest U-bahn/S-bahn station is Marienplatz. 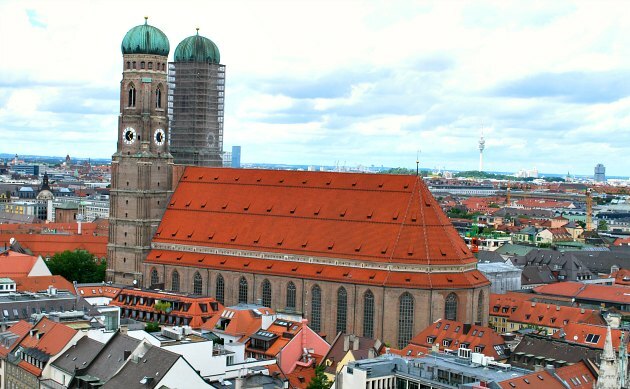 Frauenkirche is just off the main shopping street in the city centre.